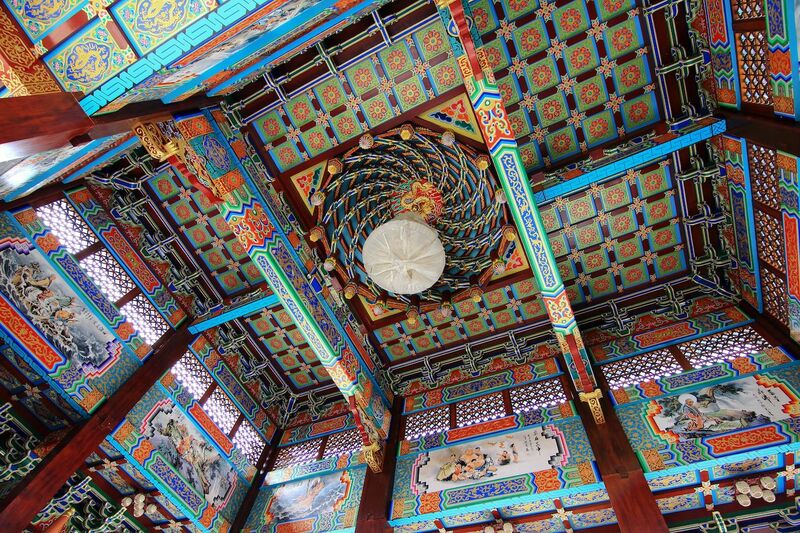 Every traveler knows to keep their eyes wide open when visiting a new place, but some spots require that you be extra curious and crane your neck to look up. 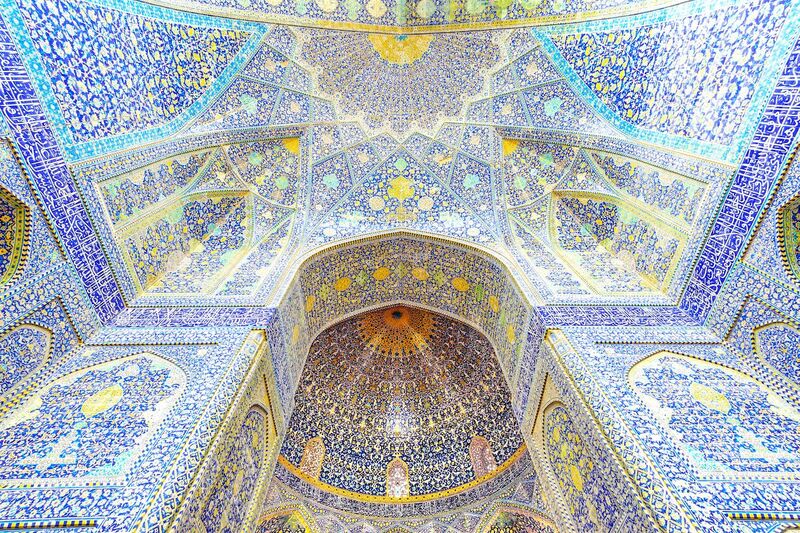 From mosques to churches to temples — religious buildings are often constructed to inspire visitors to cast their eyes heavenward — and even castles and more, these are the most jaw-dropping ceilings you can ever hope to have above your head. One of the most stunning buildings in the world in every regard, the ceiling of the Nasir al-Mulk Mosque is no exception. Emblazoned with vivid patterns in every color and intricate muqarnas (ornamented vaulting), the mosque’s interior offers a daily vibrant kaleidoscopic light show through incredible panes of stained glass. The complex ceiling design, typical of Islamic architecture, draws the eyes upward and inspires a sense of awe and wonder in all who have the opportunity to view it. The ceiling of the Sistine Chapel in Vatican City is one of the most famous in the world. 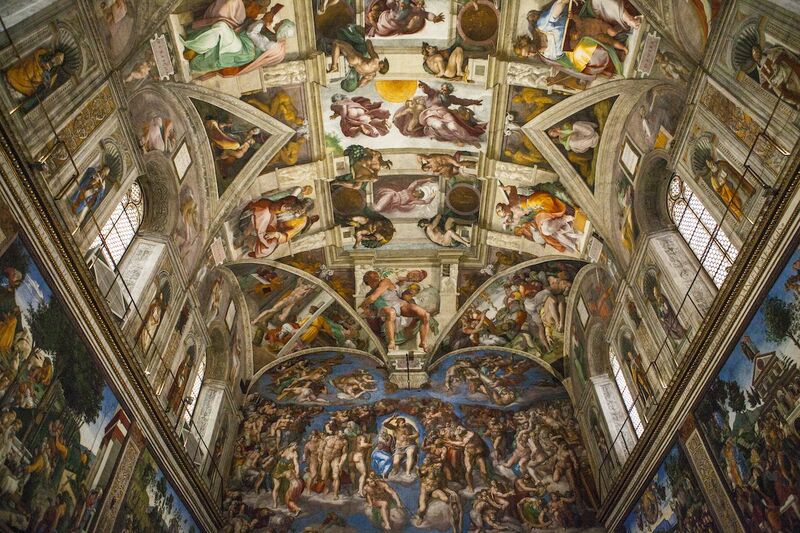 Created by Michelangelo in the early 1500s, the hand-painted masterpiece draws millions of visitors each year. The ceiling depicts nine scenes from the Book of Genesis — including the “Creation of Adam,” with God reaching out to touch Adam’s finger — capstoned by a fresco of the Last Judgment to complete the biblical story. If you go, don’t plan to document your visit because photos are strictly prohibited inside the chapel in order to protect the integrity of the art for generations to come. 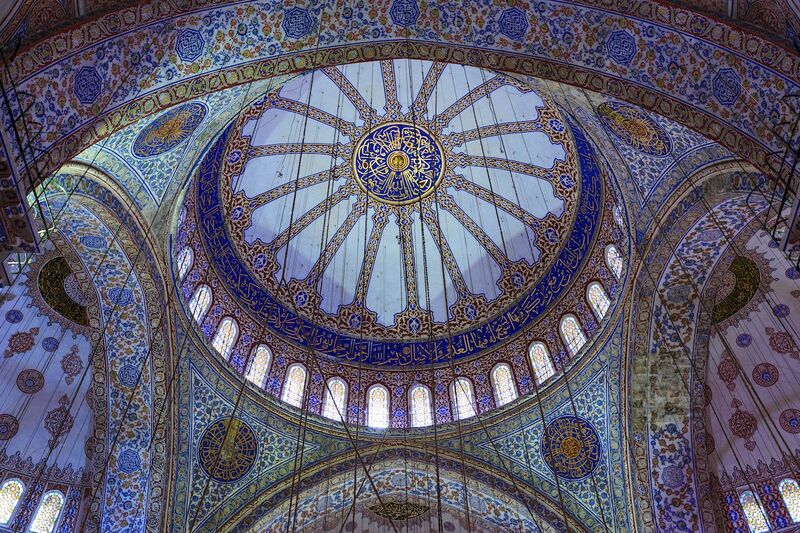 Nicknamed the “Blue Mosque” for its striking cool-hued interior, Istanbul’s Sultan Ahmed Mosque is a historic mosque dating back to the early 1600s. It’s located next to the famous Hagia Sophia. Lined with over 20,000 handmade tiles, the mosque culminates in colossal circular stained-glass windows and in cupolas so intricately adorned that you’ll want to lie on your back for a little while to take all its splendor in. 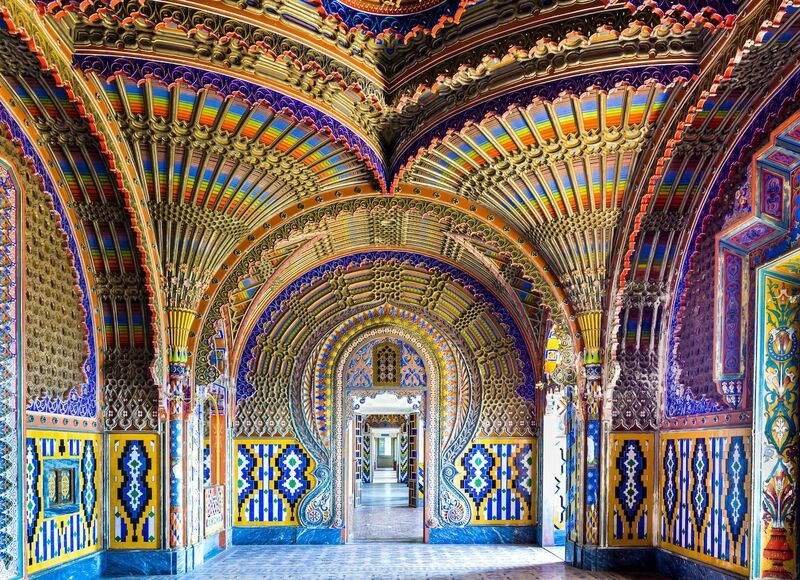 Sammezzano Castle in Florence is one of the most colorful buildings in the world. Fanned with peacock-style rainbows of color and intricate details, the castle has 365 rooms — one for every day of the year — all adorned in an elaborate swirling and otherworldly technicolor style. It was built in the early 1600s as an Italian palazzo, served as a luxury hotel after World War II, and was recently sold to a Dubai-based company for over $18 million. Elaborate and colorful from the outside in, St. Petersburg’s Church of the Savior on Spilled Blood is one of the most beautiful churches in Russia and one of the most visually striking architectural marvels on the planet. 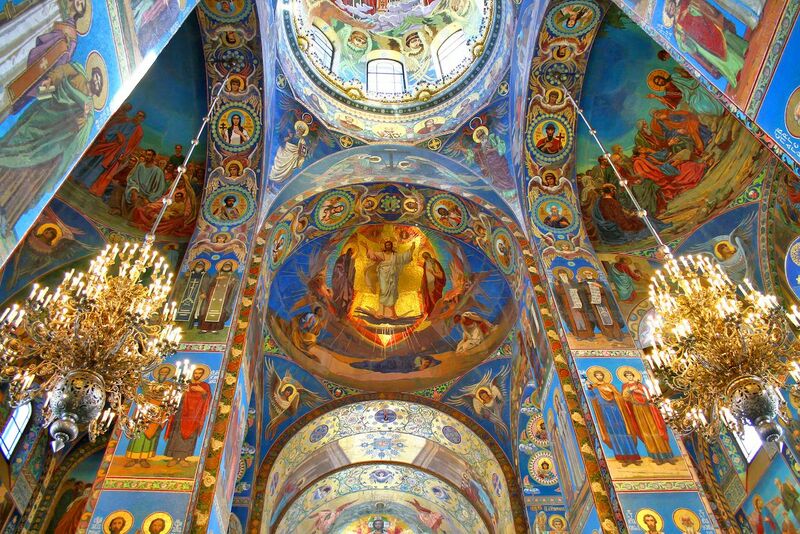 It contains over 80,000 square feet of detailed mosaic work from floor to ceiling and is ornamented in vivid colors and topped with gold-leafed domes to inspire parishioners to ponder the realms above. The Temple of Heaven in Beijing is a complex of religious buildings where emperors used to visit to make annual prayers for a good harvest. Today, the religious site still stands as a breathtaking and popular place to visit. The temple is rich with Chinese symbolism; the Hall of Prayer for Good Harvests has four inner pillars to represent the four seasons and the square structuring of the building represents Earth, while dark blue roof tiles and circular shapes throughout the temple represent heaven. Construction of the Shah Mosque in Iran began in 1611 and today it stands as one of the most beautiful mosques in the world, so highly respected that it even appears on the rial, the currency of Iran. 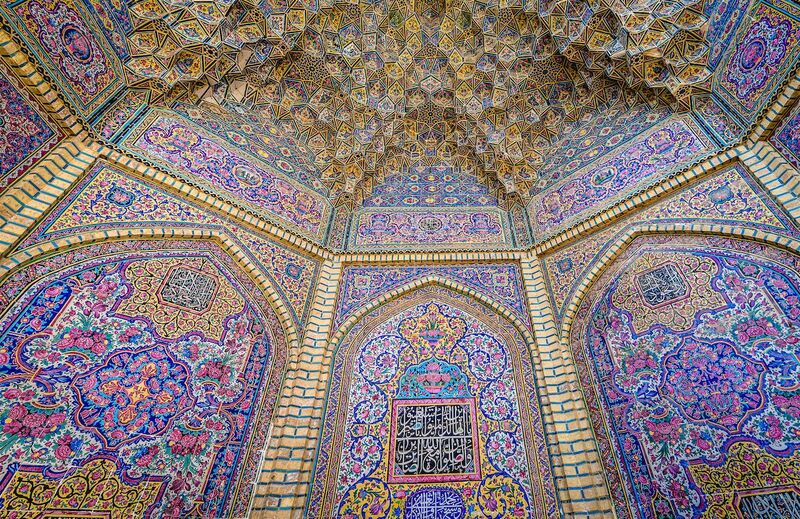 It’s inscribed with calligraphy from the Quran and coated in mosaic tilework in a palette of seven colors. Richly patterned octagonal domes and iridescent arabesque tiles are high above the heads of the faithful, encouraging a sense of heavenly transcendence.